How difficult is it to set up your answering services? Our answering system setup is very straightforward. We discuss with you the ‘ideal’ service, and requirements, then build your protocol from there. 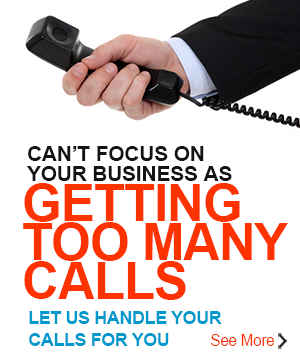 Am I able to manage call-forwarding for my business? Yes. All diversions are programmed on your phone or web portal with your telecommunications provider. Can I receive messages while travelling overseas? Yes. Message delivery can be at any time, by any means you request, and can be changed as you require. Can I track or view statistics of your interactions? Yes. Reports can be provided to you in a variety of formats at any time you require. How can I be sure your team are providing friendly and professional customer care? You can rest assured, our team leaders complete call reviews on a regular basis with all our staff. How often am I able to make changes to my script? Hourly, daily, weekly or monthly – you can update us the minute something changes in your business. What happens if I change my products or services? Update us immediately and we will update our staff and systems to reflect your changes. We will also re-train our operators as required. Our systems are backed up 24/7 with full technical support. We have a contract to ensure your privacy, however our contracts are structured to provide you with a maximum of flexibility. You seem to have a large team – will I receive personal service? Always. Everything we do is personalised.